"This article from our local newspaper three years ago may be of interest. 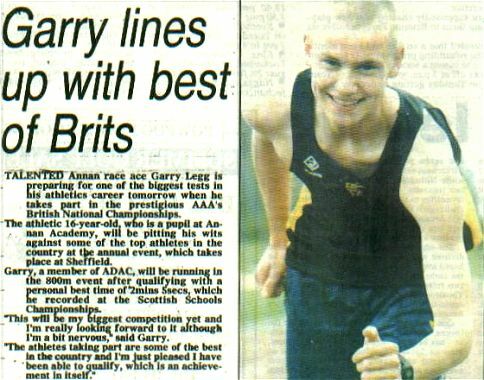 It was when my son qualified to compete at the AAA national championships at Sheffield in the 800 metres he was school sports champion several times and was cross country champion every year . He gave up running competitively the following year to concentrate on his studies and at the moment is at Preston University studying Heritage Management... however who knows in the future he may again be able to find the time and once again show the talents gifted to him by his great great great grandfather." Caroline Legg. Click on the article to read the details.